Ce document au format PDF 1.4 a été généré par Yektaweb pdf marker / FPDF 1.7, et a été envoyé sur fichier-pdf.fr le 05/02/2018 à 02:06, depuis l'adresse IP 41.102.x.x. La présente page de téléchargement du fichier a été vue 69 fois. Taille du document: 652 Ko (9 pages). cogging torque is one of the most important problems in their performance and evaluation. an analytical method, four generators with different pole-slot combinations are designed. obtained. The results show a proper performance and a correctness of the proposed method. 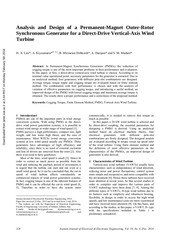 Keywords: Cogging Torque, Finite Element Method, PMSG, Vertical-Axis Wind Turbine. extract wind energy at wider range of wind speed . there is no need to have gearboxes. commercial aspects of wind power generation systems. 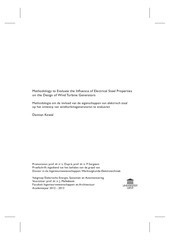 Iranian Journal of Electrical &amp; Electronic Engineering, 2014. Paper first received 22 Dec. 2013 and in revised form 1 July 2014. Table 1 Wind turbine characteristics. necessary parameters to design the generators. PM generator is shown in Fig. 1.
the relative recoil permeability of PMs. with a diameter Dag to generator’s input torque. will be calculated as the following equations. Fig. 1 Permanent-magnet outer-rotor synchronous generator. stator and kj is the stacking factor of the iron lamination. considered equal to the thickness of the stator yoke. high constant power speed range can be achieved . assessment of torque and performance in PM machines. introduced and analytical relations are derived. Airgap flux leakage is different from other types. and dimensions of the slot and the winding construction. Fig. 2 Geometric parameters of the generator slots. functions of relative pitch winding to pole-pitch . winding and the number of layers . mostly due to interaction of magnet field and slotting. the airgap flux harmonics, or mechanical imbalances. Table 2 Characteristic torque of different generators. Table 3 The main parameters for designed generators. of designed generators are respectively compared. where N = 0, 1, 2, …, 2P – 1 and k = 1, 2, …, Qs – 1.
and for a fixed slot opening width, is shown in Fig. 5. Fig. 5 Cogging torque of 60-pole generator as a function of ω. The cogging torque for these values is shown in Fig. where k = 0, 1, 2, …, Qs-1 and N = 1, 2, …, 2P-1. costs of construction of machinery , is ignored. and cogging torque will be lower. Fig. 6 Cogging torque for different values of ω. Fig. 7 Electromagnetic torque for different values of ω. Fig. 8 Radial flux density for different slot opening values. 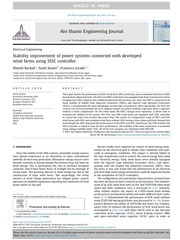 supports of Mr. Shadman Rahimi Monjezi, and Mr.
and complete the revised paper. Fig. 9 Cogging torque in optimal values of β. Fig. 10. Electromagnetic torque versus slot opening width. torque as a function of the slot opening width is shown. increasing and the flux linkage is also decreasing. field and magneto motive force, is reduced. Canadian Conference, pp. 641-644, 2005. Systems, Vol. 1, No. 1, pp.1-6, 2013. J. Kjellin, F. Bülow, S. Eriksson, P. Deglaire, M.
No. 11, pp. 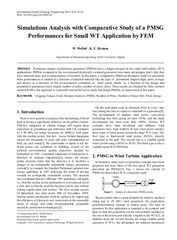 3050-3053, 2011.
wind power&quot;, Applied Energy, Vol. 88, No. 1, pp. Reviews, Vol. 12, pp. 1419-1434, 2008. 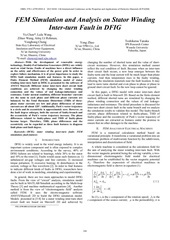 Design of rotating electrical machines, Wiley. 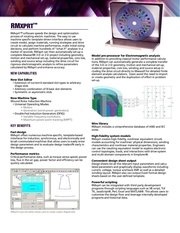 motor technology: design and applications, Vol. Machines and Drives, pp. 489-493, 2006. No. 1, pp. 107-121, 2010. Industry Applications, Vol. 38, No. 5, pp. 12591265, 2002. C. Salisteanu, I. Udroiu, O. Nedelcu and D.
assistant professor of electrical machines. He was a Post-Doc. systems, and power quality problems. Machines Optimization and Finite Element Method. electric drives, and power electronics. Ce fichier a été mis en ligne par un utilisateur du site. Identifiant unique du document: 00572659.